JoAnn Joyce Stegenga passed away peacefully on Tuesday, January 15 at St. Mary’s Hospital in Rochester. She was 83. She was born on April 15, 1935, in Albert Lea, the daughter of Vincent and Laura (Hannigan) Balfe. She attended schools in Albert Lea. She was united in marriage with Albert Stegenga at St. Theodore Catholic Church in 1954. Together they were blessed with four children. JoAnn worked several part-time jobs over the years while proudly raising her family. She then worked for American Greetings as a merchandiser for over 20 years. She enjoyed sewing, crocheting, reading, painting, and crafts. JoAnn was an excellent cook and baker, always making sure her family had a good meal. When she was younger, she enjoyed camping. JoAnn was a proud Vikings fan, and never missed a game-win or lose. She also loved being around children, watching them learn and grow. JoAnn is survived by her children: Dan Stegenga of Canyon Lake, TX, Ron (Wendy) Stegenga of Abilene, TX, Jim (Chris) Stegenga of Rochester, MN; grandchildren: Shelly (Scott) Freemyer of Cottage Grove, MN, Cristy Stegenga, Jenell Stegenga and David (Jessica) Stegenga all of Abilene, TX, Matt Stegenga of Christoval, Texas, Jenna and Alyson Stegenga of Rochester, MN; great grandchildren Erin & Trevor Freemyer and Catalina Stegenga. She is also survived by numerous nieces, nephews, cousins, and friends. She was preceded in death by her parents; her husband Albert, her daughter Lori Beighley, brothers Richard Balfe and Jerry Balfe, and granddaughter Crystal Beighley. JoAnn’s family was the most important thing to her. She loved her children and grandchildren more than anything in the world. May God bless her and hold her in the palm of His hand. Memorial Services will be held at 10:00 A.M. on Saturday, January 26 at St. Theodore Catholic Church in Albert Lea. The Reverend Kurt Farrell will officiate. Interment will be in St. Theodore Cemetery. Visitation will be one hour before services at the church. 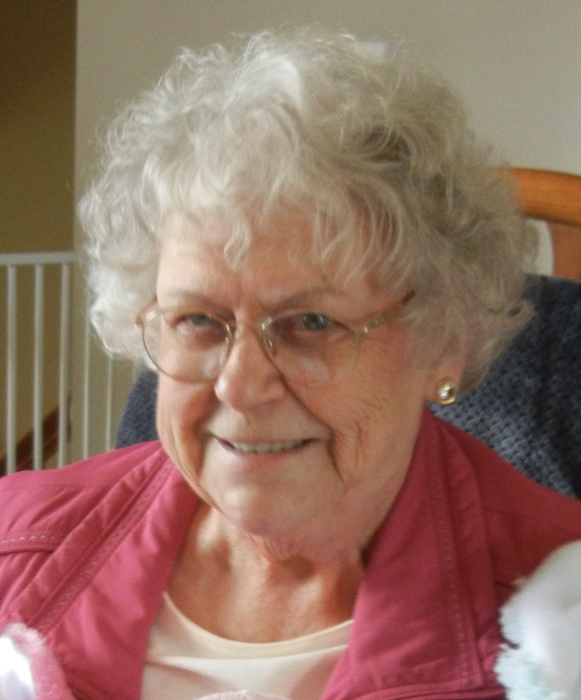 JoAnn’s family would like to thank the staff at St. John’s for her kind, compassionate care. Memorials suggested to St. Theodore’s Catholic Church or St. John’s-The Woodlands on Fountain Lake.